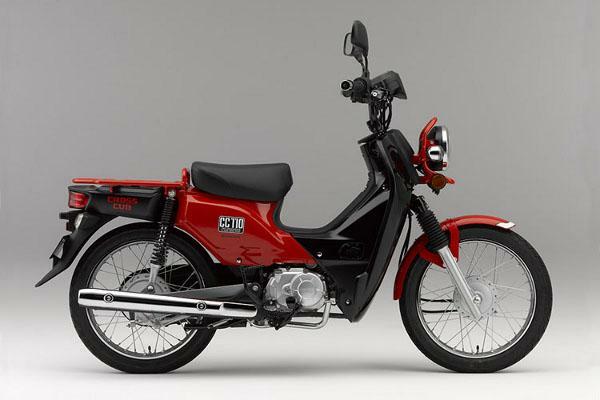 THE mighty Honda Cub name has been revived with the unveiling of this new scooter, the Cross Cub 110. There are two versions of the new CC10, one with leg-shields, road tyres and a low-slung exhaust and one with more rugged styling, a high-level exhaust and dual-purpose rubber. Both have a 110cc engine making 8hp. The step-thrus were unveiled as concepts at the Tokyo Motor Show but reports suggest Honda will put them in production next year. Over 60 million Cubs were sold worldwide between 1958 and 2009, including the C100, C50, C70 and C90, making it the best-selling motor vehicle in history. It’s not clear whether this new version will come to the UK. With a such a legendary name on the tank, we feel it should. How about you?